The Short Version: As soon as Angela Hayes learned what a life coach was, she knew that was the profession for her. While pursuing her master’s degree in marriage and family therapy, she decided to also get certified as a life coach so she could have a direct and profound impact on people’s lives. Today, Angela works with singles and couples in Round Rock, Texas, passing along strategies to get their relationships, careers, and lives back on track. Her informative and nonjudgmental coaching style offers clients a safe space to discuss major issues in their lives and work toward a better tomorrow. Whether your relationship is on the rocks or your career is stalling, Angela Hayes can give you positive directions on what you can change to get where you want to go. A relationship is like bridge connecting two separate entities. A sturdy bridge will weather storms without breaking because it’s been built to last. But sometimes even the strongest bridges get into disrepair, and then maintenance workers have to come in and patch up any structural weaknesses. It’s important to take care of the small cracks before they become major schisms that threaten the integrity of the bridge. A good bridge, like a good relationship, relies on such timely maintenance to help it endure outward stresses and stay strong throughout the years. Relationship coaches are like the maintenance workers of relationships — they spot the small issues and keep them from becoming big issues. This is especially crucial during periods of upheaval when relationships are most likely to break down. Many couples have taken Angela’s guidance to heart and reinforced their relationships. In 2015, Angela founded her coaching practice to assist singles and couples undergoing big life changes, including a new marriage, a move, a baby, a divorce, or a change in career. Her private coaching sessions lead people to strengthen their communication skills and develop a plan for reaching their life goals. 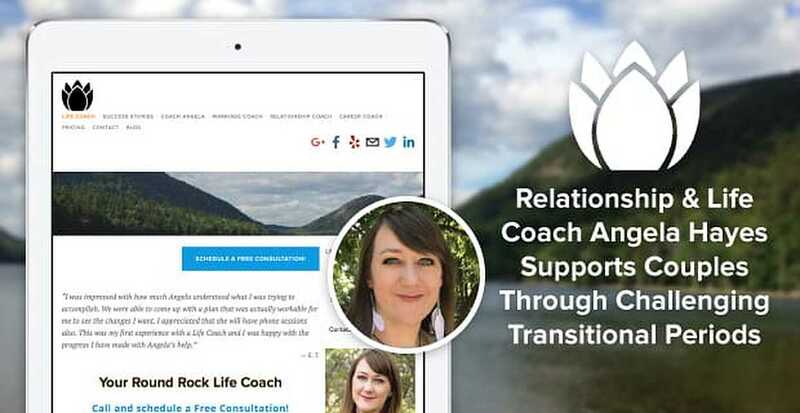 The first consultation is free, so you can see for yourself how Angela’s grounded and insightful coaching can give you a new outlook on love and life. You can call (512) 843-2656 or apply online to set up an appointment and start the process toward a healthier and happier life with your significant other. 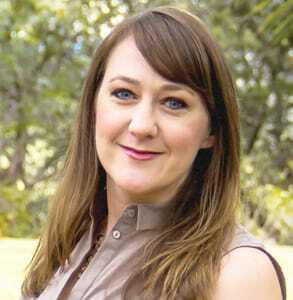 Angela Hayes received a bachelor’s degree in psychology and began her career as a life coach. Today, Angela runs a life coaching practice geared toward singles and couples going through challenges in their relationships, careers, and personal lives. She offers distance coaching by phone or video conference, but when working with couples she prefers to have the first session in her office because there can be subtle things happening in the clients communication that offer clues to what is happening in the relationship. Angela offers a broad range of services — from career coaching for professionals to marriage coaching for committed couples — to help people make progress toward the kind of life they want to lead. As a relationship coach, Angela sees couples in all stages of life. Young couples often come to her to sort out conflicts over in-laws, babies, or new careers; meanwhile older couples come to learn how to reconnect once they’ve retired or become empty nesters. These transitional phases can strain a relationship and leave men and women uncertain of how to move forward. Anyone undergoing stress in their personal or professional lives can turn to Angela for sage advice. She supports adults going through challenging times, including divorce, and devises strategies to help them move forward. Whether she’s working with singles or couples, she told us she often focuses on developing her clients’ relationship-building skills so they can find fulfillment in their lives. Angela has accumulated quite a few success stories and rave reviews over the past few years. She boasts a five-star rating on Yelp, and Thumbtack named her Best Life Coach in Round Rock in 2015 and 2016. “It was a game changer to check in and realize how wrong our assumptions were,” said two marriage coaching clients who healed their hurts and grew together thanks to Angela’s guidance. Many couples have strengthened their relationships through Angela’s instructive coaching sessions. In a few weeks, they laid the groundwork for a long-lasting connection and develop skills that allow them overcome any obstacles along the way. No couple is immune to the wear and tear of time, and it’s only natural for a relationship to show some cracks, especially if you’ve been neglecting it. If you want to bridge the distance between you and that special someone, you can learn a lot from Angela’s personalized sessions. She gives couples the tools to reinforce their bonds so they stay together for years to come. Angela’s coaching practice reaches people of all ages and backgrounds. Whether you’re dealing with stresses in your career or trials in your relationships, you can count on Angela to listen with an open mind and offer friendly advice based on years of experience and study. By following her passion for transforming people’s lives, Angela has established a flourishing coaching career and reached countless singles and couples nationwide. In the coming weeks, the certified coach plans to move to her own private office space in Round Rock, Texas. She said she’s looking forward to decorating the new space to reflect her warm personality and hopes to bring in another coach to help her take on more clients as her business grows.